The Legacy of the former “Enthroned” Prime Minister, His Eminence, Professor Samdhong Rinpoche. Tibetan historians have used the figurative expression “nurturing the embers of the dharma” (tempae mero solwa) to describe how such dedicated scholars and teachers as Lotsawa Rinchen Sangpo, Lekpe Sherap, Drom Tonpa, and the great Bengali spiritual master, Atisa, labored tirelessly to keep Buddhist teachings alive in Tibet, following the break-up of the Empire in the ninth century. I reworked this phrase some years ago to describe the courageous sacrifice of the many Tibetan self-immolators as “igniting the embers of rangzen” or (rangzen mero par-ngyen). The reader must forgive me for reworking the phrase again, this time for an unhappy purpose as in the title of this post to describe the actions of an important Tibetan political leader who has taken it upon himself to deliberately undermine the Tibetan freedom struggle, even succeeding –– to a tragic and alarming degree. 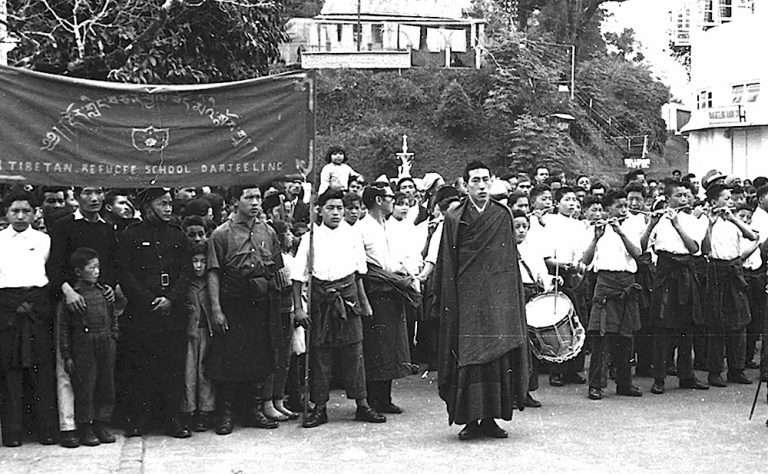 Samdhong Rinpoche in front of the Tibetan Refugee School band, Chowrastha, Darjeeling 1962 (?). Photograph courtesy Norbu Choephel. 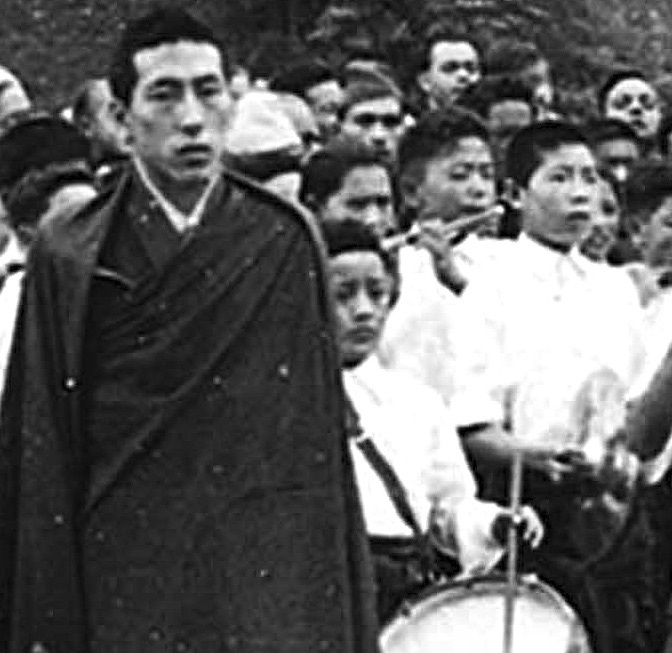 I first saw Samdhong Rinpoche as a young lama marching in front of the Tibetan Refugee School fife-and-drum band in Darjeeling, holding a swagger-stick –– the kind Indian and British army officers carry. Rinpoche was the religious instructor (chö-gye) of the school and had the reputation of being a hard taskmaster and inflicting sadistic whippings on his students. But such Dickension style punishments were common in nearly all Tibetan schools at the time. 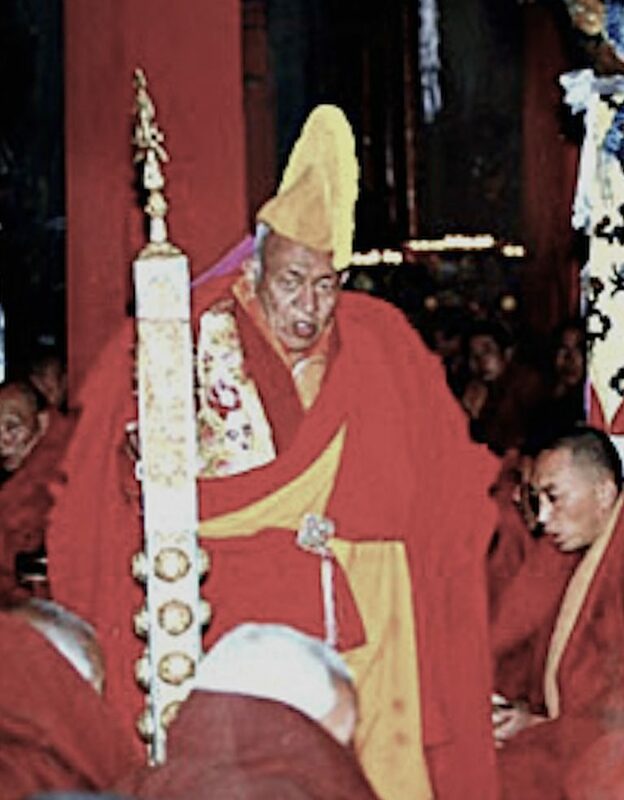 What was unique about Samdhong Rinpoche’s modus operandi was the way he prefaced his punishment with a lengthy verbal reprimand in the distinctive tsok-dam style of the Tsokchen Zhal-ngo, the fearsome disciplinarian of Drepung monastery. Samdhong’s emulation of the overblown oratorial style of the Drepung disciplinarian was a source of amusement for many Tibetan officials and older lamas at the time. Nearly a decade later I encountered Samdhong at the first Tibetan Youth Conference at Dharamshala, on the 7th of October 1970. 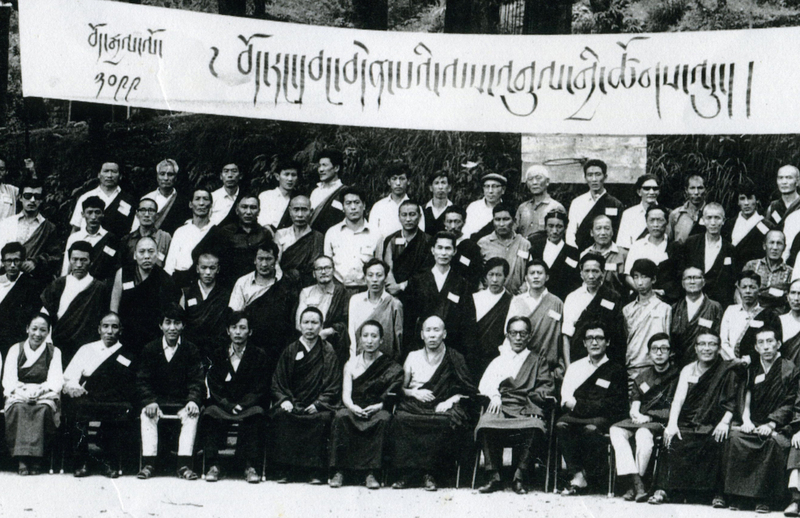 This conference, from which the Tibetan Youth Congress (TYC) was born, was one of the most crucial events in exile history. This is not the forum for a detailed discussion on TYC history, nonetheless it should be noted that the organization came to being in the wake of a vicious and damaging power struggle within the exile government and society. I have described this in some detail in a previous post on this website. 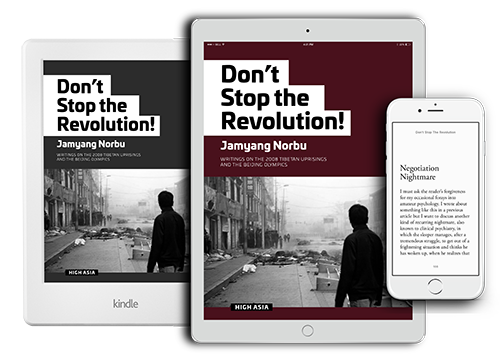 As such the formation of a genuinely democratic, open and free-thinking organization of young Tibetans at this dark moment in Tibetan history was an enormously exciting and positive event for exile society. Unstinting credit for this achievement must be extended to the founders: Tenzin Gyeche Tethong, the late Sonam Topgyal Zechutsang, the late Lodi Gyari and Tenzin Namgyal Tethong. A convening committee of some thirty odd people was created at Dharamshala. I was selected to head the committee for organizing the evening entertainment for the three-day conference –– one of which was the premiere of my two-act play on the March Uprising, The Chinese Horse (tib. gya-nakpoe ta). Tibetan Youth Conference Convening Committee. Front row from left: founders Sonam Topgyal Zeychutsang, Tenzin Gyeche, and Tenzin Tethong. Lodi Gyari was in Delhi. I am in the next row, 2nd from left. I will not go into specifics, but the reader should be made aware of what an amazingly well organized conference it was, considering the poverty of exile society and the lack of support from any international organization and individuals –– as we have at present. Even secondary aspects of the conference operation such as an in-house bookstore, a travel agency and a laundry service for the delegates were unprecedented and impressive. Every speech and exchange at this historic conference was recorded on tape –– one of those ancient reel-to-reel tape recorders loaned to us by the Dalai Lama. His Holiness was, to put it mildly, thrilled with the conference and generously footed the bill for the entire event. He was requested to make the opening speech on the first morning, but he let us know that he wanted to attend the closing session also. In a unprecedented gesture he insisted that following his talk he would take any questions from the delegates. This was probably the first time in Tibetan history that such a thing had happened. As Kashag ministers had also been invited to make individual presentations, this opened the proceedings up to quite an intense grilling of all the kalons: Mr. W.G. Kundeling, Dzasa Jigme Taring, Mr. Wangdu Dorje and also Mr. Gyalo Thondup (who was not in the cabinet but still controlled Tibetan intelligence and security). The opening session of the Tibetan Youth Conference. Founder Sonam Topgyal Zechutsang welcomes his Holiness the Dalai Lama and his tutors Yonzin Ling Rimpoche and Yonzin Trichang Rimpoche. Seated at back from left: Tenzin Gyeche, Lodi Gyari and Tenzin Tethong (?). 7th October 1970. Nearly four or five hundred young Tibetan women and men came from various communities and schools throughout India, Nepal and Bhutan and the excitement and optimism was palpable. On the second day everyone unanimously decided that a permanent organization had to be established. A central executive committee of eight members was to lead the organization and the four founders were chosen by popular acclaim to be in the executive committee, as were other such prominent delegates as Mrs. Jetsun Pema Gyalpo (the Dalai Lama’s sister and principal of TCV) and Samdhong Rinpoche (now the principal of the Central Institute of Tibetan Studies at Sarnath). I think about two spots for the executive committee had not been filled and I and a few others delegates were nominated, to be chosen by paper ballots on the final day. The election for the president of the TYC would also take place on that day. I was excited to be nominated and I went around meeting delegates who shared my vision for the TYC. It was then I discovered, the night before the elections, that an organized campaign was afoot to get Samdhong Rinpoche elected as the president of the TYC. A student from Darjeeling told me that a day earlier a tea party had been hosted at the Kailash Hotel at McLeod Ganj. Students from the Dalhousie CST (where Rimpoche had been principal) and Darjeeling and Simla schools (where he had been the religious instructor) had all been requested to attend, ostensibly to meet their former mentor. A group of Rinpoche’s students from the Central Institute were also present. It was made clear to all gathered at the Kailash that they were to spread out among the conference delegates and let everyone know that Samdong Rimpoche was the most qualified candidate to be president of the TYC. The “campaign manager” was Gelek Rinpoche (aka Nyara Khentul) who had been a fellow tulku of Samdhong’s at Drepung monastery in Tibet. 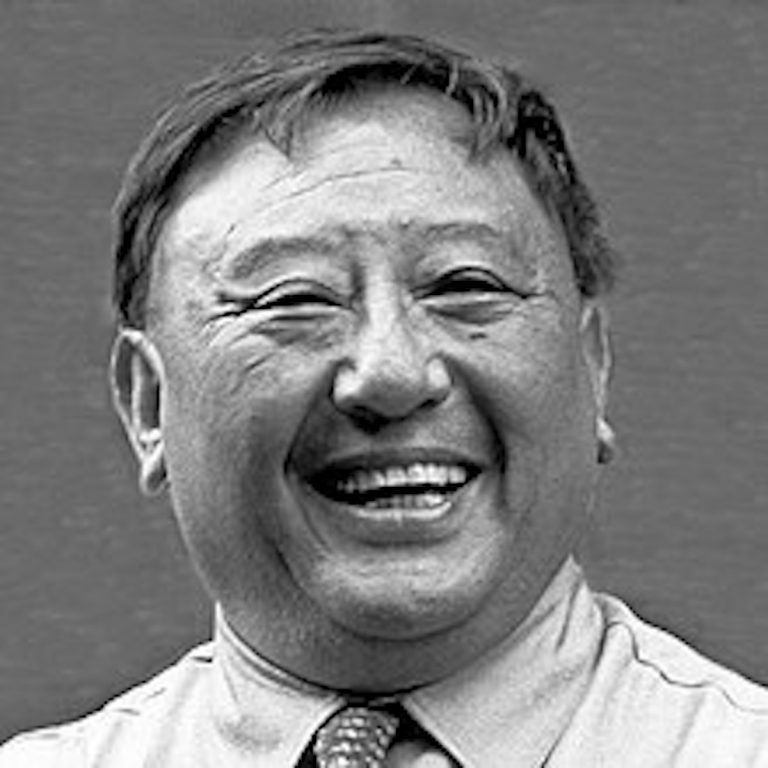 The late Gelek Rimpoche, aka Nyara Khentrul. I was surprised and outraged at this attempted “tulku takeover” of the TYC. We all knew Samdhong (and Mrs. Jetsun Pema Gyalpo) had been nominated for the presidency and that was perfectly fine with everyone. But this secret conspiracy went against the open, democratic and essentially liberal/secular atmosphere that the Youth Conference was attempting to foster in exile society. In fact the convening committee had selected a young Lhasa Muslim student (Namgyal-la) and a Tibetan girl from a Christian convent to present his Holiness a bouquet of flowers and a nangzoe khada when he arrived at the conference venue at TIPA on the morning of the 7th. An added aggravation was that neither Samdhong nor Gelek had contributed anything in the way of funding, effort or even guidance or advice to the creation of the conference. I requested an urgent meeting that night with the four founders (who were close friends of mine) at my small room at TIPA. They were shocked at my report. They had been caught up with the organizational work –– preparing for the Dalai Lama’s arrival the next afternoon, drafting the final resolutions, besides a hundred and one other tasks to wrap up the whole event –– and had no idea of what was going on behind the scenes. We all realized that we had, there and then, to decide on a single candidate and not split our votes. We also had to spread the word out among our friends and supporters that they were to rally behind our chosen nominee, Tenzin Gyeche-la. I did a lot of the legwork and got little sleep that night. The election next day was a squeaker. At one point Mrs. Pema Gyalpo decided to withdraw her candidacy (to improve Tenzin Gyeche’s chances) but Gelek Rimpoche loudly bullied her about her lack of public spirit. I had a shouting match with him that got a little aggressive. Lodi Gyari (our in-house politician) stopped me. He told me he had taken a straw poll of sorts and it would be alright. Anyhow, the long and the short of it was that Tenzin Gyeche managed a narrow win. After the dust settled down Samdong Rimpoche got up on the podium and gave his concession speech. He did not offer a single word of congratulation to Tenzin Gyeche, or pay any tribute to the conference organizers or wish the newborn TYC success. It may have been an attempt at a joke, but Rimpoche declared that perhaps his karma was to be vice-president. He mentioned that at a religious conference (in Maharashtra?) earlier he had been chosen as a vice-president. He then addressed his own former students at the conference and told them that he would be happy if they contacted him at Sarnath, and he would do what he could to help them. That was all. Everyone was stunned at this incredibly boorish and ill-mannered speech by a religious authority and an important educational figure in our society. After he left Dharamshala,Samdhong Rimpoche, though still holding the position of vice-president, did not attend any TYC meeting or attempt to communicate with the organization in anyway. In fact when TYC branch organizations were set up at schools and communities all over the exile world, Samdhong Rimpoche explicitly ordered that no TYC branch would be allowed at the Central Institute at Sarnath. He told students there that the Tibetan Youth Congress was a Gyalo Thondup front organization. But Samdong Rimpoche wasn’t quite done with Dharamshala or the TYC yet. A year and a half later in 1972, Samdhong Rimpoche burst upon the exile political scene with his Tibetan Freedom Movement (bhö rawang denpey lekhul) or literally “Righteous Movement for Tibetan Freedom”. The Righteous Movement was in no way a democratic organization. It was top down and Samdhong Rimpoche was the unquestioned and self-appointed leader of the organization. Underneath him was a core group of about a dozen young monks, students of the Central Institute, who might be likened to cadres of the CPC. I am not making this comparison flippantly. The movement was, to put it even mildly, unapologetically authoritarian. Official group photo of the Tibetan Freedom Movement meeting at TIPA, Dharamshala. Photograph Dogra Photo Studio, courtesy T.C. Tethong. Rimpoche and his monk cadres travelled all around the exile communities and settlements in India, Nepal and Bhutan, holding meetings, recruiting local members, setting up branch organizations and unfailingly passing negative comments about the TYC. But Samdhong Rimpoche’s principal political statement was that the exile government had failed to make any progress in India or abroad to promote the issue of Tibetan freedom, and that it now required a new group of educated and capable people to take charge of this vital function of Tibetan governance. The Freedom Movement, now much expanded and empowered, held its first national convention at Dharamshala. The Kashag was informed of this. Samdhong made it clear that that cabinet members and senior officials would not be invited to participate. This seemed to have caused some concern with the Kashag, but it managed to insist that members of the exile-Parliament be allowed to attend. The Parliamentry speaker the Venerable Nima Sangpo was selected to chair the convention’s proceedings. The Kashag also demanded that the Tibetan Youth Congress leaders attend the convention but the Freedom Movement put its foot down on the matter. After a day’s wrangling the TYC was allotted just one seat, which my TYC colleagues instructed me to occupy. My colleagues –– Lodi Gyari, Tenzin Tethong and Sonam Topgyal –– were seated in the government quota for mid-level officials. Detailed inset from above photo: Seated 7th from left Parliament Speaker Ven. Nima Sangpo, 9th T.C Tethong, 10th Lodi Gyari, 11th Ven Thupten Jungney (aka Gyen Gosey), 12th Samdhong Rimpoche. Second row from left 7th Sonam Topgyal Zechutsang. 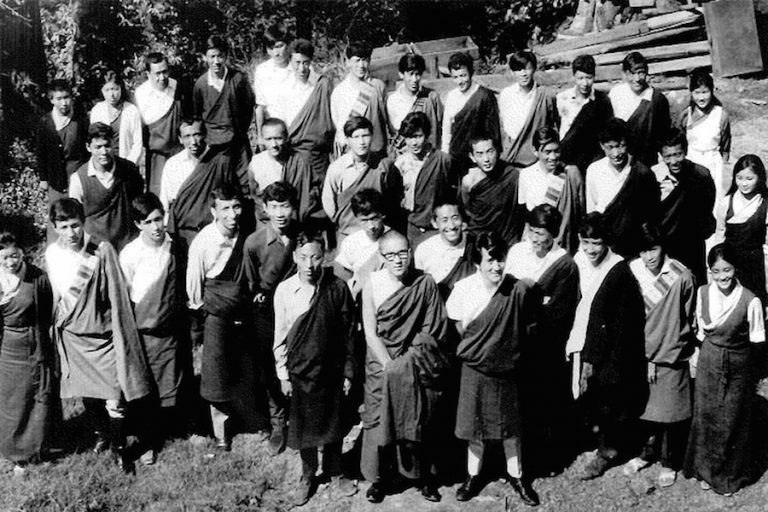 Third row 1st from left: Jamyang Norbu and 7th Juchen Thupten Namgyal. The conference started auspiciously for the Freedom Movement. Rinpoche impressed everyone when he spoke. He had a practiced technique. Walking slowly over to the rostrum, he carefully adjusted the upper part of his robe (zhen) and then tapped the microphone sharply. Next he raise his eyes slowly to the ceiling and held it there in apparant contemplation. The audiance waited quietly with bated breath. Then Rimpoche finally lowered his head and looked down sternly at us in the hall. Finally he intoned, with dramatic deliberation, a high-flown Sanskrit incantation. Probably no one in the audience understood a word, but the more unsophisticated whispered in awe “lha-skad ray” or “it is the language of the gods”. Then he got down to business. Initially all the government officials and heads of settlements at the meeting were unable to respond to Rinpoche’s accusations about the failings of the exile government, especially when his speeches were followed by a concerted wave of supportive declarations from his Sarnath monk students and also by Juchen Thupten Namgyal and others. Samdhong and his monk cadres were very articulate and intimidating, but after a while Rinpoche got carried away with the power of his own rhetoric. At one point he declared, quite unequivocally, that the exile government had, since its founding, missed thirty-three clear opportunities to promote the cause of Tibetan freedom in the world political forum (zamling sidun dingja). I remember this sentence quite clearly –– it was so astoundingly brazen and over the top. 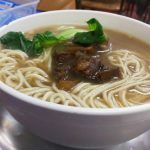 This was red meat for Samdong’s followers and there was a roar of approval, but I noticed that many of the more informed officials appeared astonished, and exchanged puzzled looks with each other. Some began to openly question the accuracy of Rinpoche’s outrageous accusation. I took a different tack and declared that Rinpoche’s statement was so important to the national cause that he should explain each of the thirty-three failures of the government in detail, with exact dates, venues and circumstances. Samdhong Rinpoche ignored me, but more officials began to pick at Rinpoche’s arguments and gradually a real debate began to take place. The first member of the Freedom Movement to crack was Reverend Thupten Jungney (aka Gyen Gosey) who was not from Rinpoche’s Institute but had his own monastery at Sarnath. He was an honest, unassuming man and a committed Rangzen activist. Gradually others began to peel away from their support of Samdong Rinpoche and on the second afternoon a stalemate developed. Towards the evening it got contentious with government officials even demanding that the donations collected by the Freedom Movement should be handed over to the Finance Office (Paljor Office). I did not join these subsequent discussions but used the time to flesh out and organize an idea that occured to me. Armed with my notes I pointed out to the assembly that the couple of lakh rupees collected were insignificant in the greater scheme of things. Furthermore, since the Freedom Movement had already set up a number of branches all over India and Nepal these branches could be used to collect an annual tax from all exile Tibetans to be used for the freedom struggle. Hence the Freedom Movement would be fulfilling its objective in an immediate and practical way. (The Tibetan government did not have a permanent source of funding except for an yearly grant from the Dalai Lama). I suggested that a small fixed sum be collected from each Tibetan annually and a booklet, designed like a passport, be issued to each person where a receipt stamp would be pasted. I proposed the name Rangzen Lagtheb or the “Freedom Handbook” and suggested its cover be green to honor His Holiness. An early Greenbook (issued to me) and a present-day Greenbook at right. Till recently the Greenbook “tax” constituted the bulk of the exile governments funding. The speaker Nima Sangpo-la commended me and the TYC for the proposal and immediately got a resolution passed to that effect. He further instructed me to submit the project in writing to the Finance Office, which I did a couple of days later to the assistant finance secretary, the late Gelong Loden la (aka Jhola Chime Gonpo la). I am sure the document is still in the files of the Finance Office. It was typed on a distinctive yellow paper with green TYC logo and letterhead, and my signature. The standoff at the meeting was now resolved as the representatives of the various exile communities had gained official recognition for their exertions and had been given an important task to perform. 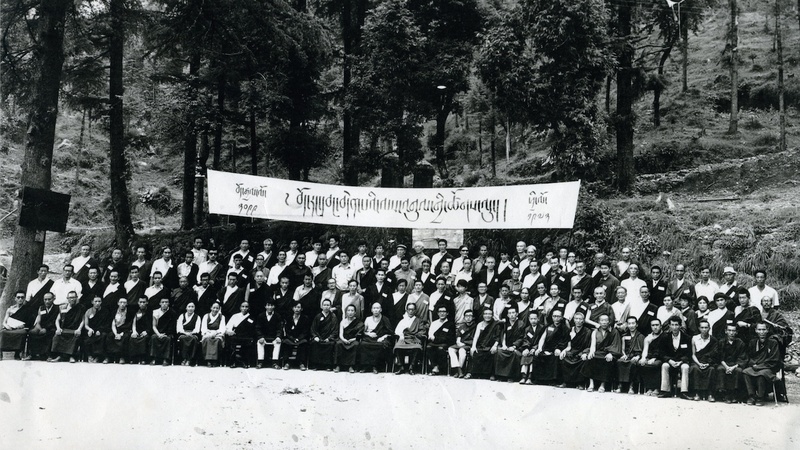 Before long other branch offices of the Freedom Movement were started around the Tibetan world, and placed under the firm supervison of the exile parliament. Freedom Movement branch offices in various Tibetan communities. Rinpoche and his students returned to Sarnath and had nothing further to do with the Freedom Movement. Though the Kashag had initially panicked at the formation of the Freedom Movement, no one at the time suggested that Samdhong Rinpoche had done anything untoward. 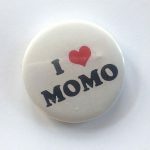 But looking back at it now, 47 years later, it seems to me that the Freedom Movement was actually an undercover, if non-violent, coup d’é·tat that Samdong Rinpoche and his monkish cadres had launched, essentially to try and reduce the exile government to a NGO that would only be allowed it to take care of settlements, monasteries and schools. The real power and authority to conduct political activities and negotiate with other governments and international organizations would, on the successful conclusion of the coup, be placed under the sole control of the great leader, Samdhong Rinpoche. What should perhaps also not be overlooked is the time frame of Samdhong Rinpoche’s movement. It was launched exactly around the period of the Cultural Revolution in China when a politically sidelined Mao Zedong attempted a coup d’é·tat against China’s president Liu Shaoqi and senior Communist Party members. 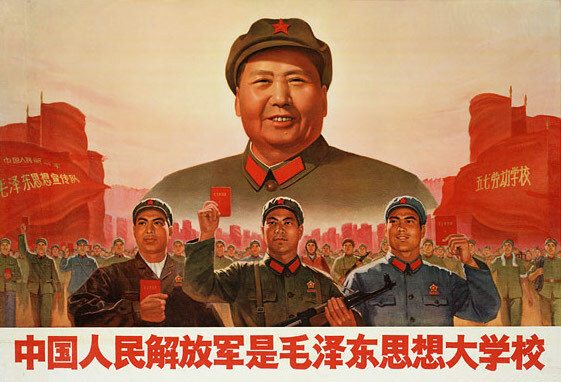 The browbeating and struggling of Mao’s establishment enemies by his Red Guards was of course violent and extreme, and in no way comparable to the verbal accusations and criticisms that Samdhong’s monkish “Red Guards” directed at the exile government and its officials. Nonetheless, both were undeniably employed in the service of a power-struggle. The Cultural Revolution was then the major topic of discussion in exile society, and Samdhong Rinpoche who openly professed his antagonism to American imperialism, was also a great admirer of Chairman Mao. I will expand on this in the second part of this post. But there is no mention of the major political party (the first in exile history) that he successfully created –– but less successfully guided and led. Nowhere in Samdhong Rinpoche’s entire website is there any reference to the Tibetan Freedom Movement. No a single one. I HAVE POSTED A TIBETAN AUDIO TRANSLATION OF THE ABOVE POST ON FACEBOOK. I was unable to upload an audio file on my blog. You sir never fail to amaze me. To think Rangzen Lagtep was secured out of this gathering is pure genius and a lesson to us all. Never fail to look for an opportunity to better your cause even in the most unfavorable situations although this was more like administering a shot on an emerging veritable mad dog disease. I have posted this on my FB and also provided a link to Jamyang Norbu’s article “Extinguishing the Embers of Freedom (Part 1) — The Legacy of the former “Enthroned” Prime Minister, His Eminence, Professor Samdhong Rinpoche. Deep inside, Jamyang Norbu knows that Samdhong Rinpoche is principled and does not retaliate against his routine mudslinging fest. So, JN thinks he can get away with his habitual lies and fabrications and claim undue credits. JN is an immoral and puerile pseudo-intellectual and a Father of Lies (a modern day Herodotus). But I am leaving my impression of his character and legacy as “the Cleon of Tibet” in exile history after his next series comes up. Instead, I will shed light about his writing which is fundamentally based on “Russian Firehose of Falsehood” propaganda model. Not formally trained in fair research methodology, JN has a deficient ethical standard as far as the writing of articles is concerned, in particular, those purporting to be research-based and evidence-driven. Selective presentation, partial presentation, misrepresentation, unfair representation, nefarious self-promotion, withholding of facts, and vindictive presentation are all indicative of a writer’s poor ethical and moral standard. I will demonstrate how JN’s article, unfortunately, is rich in all these malpractices. Since the time SR was first dragged into politics in 1962-63, people like JN and some of his kutrak clans were not happy with SR and made every effort to discredit and blame him for anything and everything in the exile politics and the exile community. It is never in SR’s nature to kowtow, stick out his tongue, or scratch his head like servile subjects of the olden Tibet. Threatened by the strength of morality, truth, and fearlessness that SR exudes in his character and everyday dealings, a group of insecure and arrogant old officials deviously coerced him out of Dharamsala and disbanded many young and bright Tulkus and lay Tibetans, including Gelek Rinpoche. Without rock-solid principled personality like SR with a strict sense of financial and property regulation, this Tibetan community in exile could have easily become an oligarchic “Kutrak Inc.” During their two decades of rampant rule in exile, the pampered clan of JN and their type have all built empires for themselves. Even the CIA’s closely watched “yellow parachute” vanished in thin air. Decades later, after His Holiness passes, Tibetans in and outside will only have a Dalai Lama Institution in the name of a vacant Indian Govt-leased residence in Dharamsala, looted and emptied of all valuables by the pests of our community. Similar to Bernie Sander’s “top ten percent” rhetoric, Tibetan aids, supports, and offerings of deceased family to His Holiness have almost all gone to the top ten percent privileged Tibetans. The fundamental thesis of JN’s article is based on his proposition that SR had no role in the founding of the TYC while JN himself played a pivotal role or rather Gandhi-Mandela type of role in the formation of the TYC from its leadership to a vision and what not. SR was, in fact, one of the founding members of TYC, and so was Jetsun Pema, TG Tethong, Lodi Gyari and many unnamed members here. The problem here is how JN deliberately highlights his role and that of his relatives and shamelessly sidelines and negates the critical role that others including SR have played. JN even sidelined Jetsun Pema for decades but cared to mention her here to build his conspiracy story-plan against SR.
JN’s ploy is clear. Through his crafty selection of photos and his writing, JN hopes to deceive the reader into believing that SR played no role in the founding of TYC and that SR was not even there at all. To emphasize this fact, JN deviously selects an undated picture of TYC founding members minus SR, possibly taken years after the TYC’s establishment. Real, untouched photos show SR at the center of everything regardless of what JN claims. If readers are truly interested in seeing the real dated photos of the founding members and the first President and Vice President of the TYC during their maiden general assembly meeting, please visit http://tibetansinexile.org/democracy.html# Here you will see the real picture with both SR and Jetsun Pema on the dais. Scroll further down, and you will see SR again at the center of the first session. Wait for a few years, JN will write that there never exists or existed a person named “Samdhong Rinpoche.” Wait for another couple of decades, and when His Holiness is no more amidst us, JN will go as far as to say that JN himself was the recipient of Nobel Prize, the Fourteenth Dalai Lama! And Tibet never had a leader named Tenzin Gyatso! JN also uploads a group photo with a caption indicating his presence in the frame, alluding to his so-called prominent role in the establishment of TYC, and showcasing himself as a kind of prime witness, the leading actor, and a larger-than-life character in the behind-the-scenes political wheeling and dealing of the nascent TYC. I was told that he was primarily involved in the logistical arrangements for the general assembly meeting. The picture shows JN standing in the second row. Neither his position in the picture nor his body language indicates any prominence. One senior member confided to me that JN became active only about a decade after the TYC was founded and that it was concurrent with the rise of other Tibetan Rangzen heroes. However, with some of the prominent Rangzen heroes already gone and others taking a back seat in the current politics, JN is trying hard to fool gullible youngsters. JN writes “A group of Rinpoche’s students from the Central Institute were also present.” This is incorrect because SR was just assigned the position and was yet to assume the role of Varanasi principal during the founding years of TYC. After a series of discussions at Purana Kothi, the founding Tibetans members including SR decided to form a Tibetan Youth Congress based on Indian National Congress. SR had this idea from a son of Punjabi freedom fighter. I am sure TG Tethong, Lodi Gyari, Sonam Topgyal, and TN Tethong must have a similar idea as well. JN, giving in to his peevish vengeful self, craftily coins a new term “Four founders of the TYC” to deliberately exclude two highly respected figure—SR and Jetsun Pema. This rewriting of modern Tibetan history like the PRC based on hatred and vengeance will not change the actual story. When under the blessings of His Holiness, a decision was made to form the TYC, old Tibetan officials and noble scions like JN proposed their representative Jetsun Pema to head the TYC organization. They wanted TYC to be their scions’ playground, running proxy and parallel to TGIE. Dads rule over the older subjects, and young siblings rule over the younger subjects! Jetsun Pema respected SR and knew SR was one of the youngsters that His Holiness had summoned to serve in Dharamsala. The old official scions proposed TG Tethong and JP withdrew. With attendees manipulated, the election outcome was a known secret. TG Tethong won the election. SR was forced to concede “defeat” despite having won the election. (Alas! A revival of the old Serfdom era!). SR was not so dumb to not know how voting works. But, there was a different rule and a different class of players who are above laws and regulations. When JN and group had a private victory party mocking SR and his supporters, the deceased Drakyab Sonam Topgyal also joined the party and cracked jokes (but later confided to some friends that he felt very guilty and angry!). JN also writes about the establishment of the Tibetan Freedom Movement sub-committees (Bhod Rangwang Denpai Legul Tsog Chung) implying that Gyen Goser and the Tibetan Temple were instrumental in its founding, and not SR and Varanasi students. The truth is, when Varanasi Tibetan Institute faced difficulties with its sponsor Hindu University, SR moved everything to the Tibetan Temple. Students assembled in the prayer hall of the Tibetan Temple and Gyen Goser lived in an adjacent room as he was the owner of the temple. When SR and students met in the prayer hall, Tibetan temple and Gyen Goser were always referenced in connection with the meetings, even though they played the mere role of being a venue and the owner of the venue respectively. The seed idea was sown by SR and his students in Varanasi. They then approached the Assembly of Tibetan People’s Deputies, which approved the enactment of the ideas following a SR/students meeting with Tibetan Deputies at Gyen Goser’s Tibetan Temple, and eventually enforced by way of resolution during parliament session in Dharamsala in 1972. Like it or not, TYC members under the influence of senior Kutrak officials gave Varanasi students a tough time, and are discriminated to this day. On 30 July 1972, “A group of Tibetan students studying in Central Institute of Higher Tibetan Studies (CIHTS) requested the 4th Council of Tibetan People’s Deputies (Chithu Lhenkhang) to convene a people’s representative convention which was then held in July 1972. This meeting led to the setting up of Tibetan Freedom Movement subcommittees (Bhod Rangwang Denpai Legul Tsog Chung) in all the Tibetan Settlement.” (http://tibetansinexile.org/democracy.html#) The students (four primary members earlier served CTA in parliament and departments) headed by SR suggested the move to have a body that binds the nation and its citizens through “a voluntary contribution for Tibetan freedom.” This is a historical fact. Ironically and shamelessly, we today have this old guy JN in a leather jacket and granny jeans falsely taking credit for things he had no idea or have any inkling at that time. I don’t know what you guys call a person who falsely steals credit of other people’s hard work and sacrifice. In the Tibetan language, we say “Kuma.” Maybe “Kuma la” or “Awa Kuma la,” for people of pure blood and high-birth like JN. No one can deny that His Holiness gifted us this democracy. When Tibetans congregated for a Long Life ceremony in Bodh Gaya in the winter of 1960, His Holiness was adamant at implementing democracy in our exile community. Given his experience of Lhasa’s dirty politics and the changing face of the modern world, democracy was found to be ideal. In spite of his promulgation of a “democratic republic” Tibetan constitution of Tibet, Tibetan community was not ready for this. Opposition came from two sides. The old officials and young aristrocats and scions like JN wanted to ensure the power status quo and could not bear a government administered by commoners while the Tibetan commoners also wanted a status quo as they could not dare to dream of being other than as subservient subjects. But JN wants to rewrite that entire episode. JN had withheld many facts and also manipulated them. He has committed this to deny SR of his rightful honor and claim for himself an undue credit “of having a role in the TYC’s founding.” Despite the service of some Kutraks in the TGIE, it is unfortunate that dirty politicking and bullying tendencies of public figure Kutrak like JN have helped cast a more unfavorable light on the Kutraks in general. This time, I will refrain from exposing the dirty politics played by senior Kutrak officials and the Tethong scions out of respect for their service to the Tibetan cause. Unlike big-mouth JN, they did contribute despite their dirty games. If JN keeps spewing his poison, I will not hesitate to pull out his, and his clan’s skeletons from the closet and their reputation might be inadvertently be exposed and affected. JN and SR are Tibetans of two different classes. Of course, JN is from Kutrak class, and SR is not. While SR is a principled and visionary leader, JN is a conspiracy mobster. I mean SR is a person who refuses to accept any honorary doctoral degrees from universities and JN is that type of person who spent sleepless nights just worrying about the rise and dip of “like” counts in his Facebook page. They were always different and will never be the same in the eyes of the exile commoners! Before concluding, let me tell you a little thing about JN. When Tibetans, mostly Khampas, were fighting in Mustang and tasting blood in their mouth more than their scarce Tsampa meal, the young boy JN was living like a British officer there. He had Khampa warriors carry loads of tent, books, carpet, and monocular to Mustang. Rumour has it that JN was there as a Kutrak mole to spy on Gyalo Thondrup’s activities, the Khampa leaders and the Tibetan warriors. [Years later, he married the daughter of Gyalo Dhondup’s aide Drungyig Lhamo Tsering.] Ask Khampa elders if they know “Jamyang Norbu,” and they will reply in negative. Ask them, if their memory holds, if they know “Zimik Chungwa,” and some will say, “O, yeah! There was one …” Zi is a precious stone with “mik” or eye marks, and Zimig Chungwa means “Small Zi.” In their code word, they meant: “the young spy” as there are other older spies in Mustang. While Tibetans left for the border to fight, the young scion was reading Conan Doyle’s novels to brush his spying tactics with his attendant preparing Indian sweet tea in remote Mustang. His readings and spying antics did not go waste as decades later he wrote a novel on his spy hero—Sherlock Holmes! Without firing a single bullet in Mustang, he rode back with his spywares. Today, he makes tall claims among his inner circle. Years ago he was never allowed in Khampa inner circle, but with the passing of old Khampas, today’s young Khampas know nothing about this and are very gullible. Next time, there is a Chushi Gangdruk meeting keep an eye for this “Zimik Chungwa” and his apprentices or else the reputation of Chushi Gangdruk that old Khampas have built so far will go in the gutter. After his return to Dhasa from Mustang, JN expected a high post as a gift for his spying role. Unfortunately, when all his intelligent and more qualified relatives TC Tethong, TG Tethong, and TN Tethong became Kalons of TGIE, JN was left with only a post of Director of Kolam Dhokar (TIPA), which was good for an eighth-grader when other commoners’ sons and daughters with BA worked as their clerks. Still, this and many other things pained him and made him a very vengeful and unforgiving person. 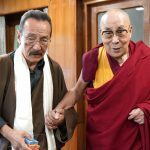 With the coming of SR in Tibetan politics, chances of his reinstatement or any special treatment or plush post without merit in TGIE became impossible. Thus, the insane outburst and life-long hatred against SR.
when oppressions in its plentiful flood. crush all lies that spring like the fountain. wash the dirty mind to thousand miles yonder. A ho! A ho! A ho! Bendza Satu!